It’s been one of those mornings. Motivation and morale are low, and those pesky brain gremlins are creeping in. You know the ones: they’re the little parts of your brain that don’t think you can do it. Doesn’t matter what “it” is; they try to tell you you can’t. Or they try to convince you not to even bother. Interact with followers and writing community on Twitter? Nah. Waste of time. Try to get some writing in? You know you’d rather sit here staring into space. It seems that for every productive suggestion I have, my brain gremlins have a counter point. They’re weak counter points at best, but the gremlins are stronger some mornings. Today’s one of them. The gremlins are trying to convince me to go back to sleep until it’s time to get ready for work. They’re trying to tell me to watch a bad B movie on Netflix, or to just stare into space because what’s the difference? It’s all an endless cycle of self-hatred, depression, and darkness. Why bother? There’s stuff I could be doing. Cleaning the kitty litters, emptying the dishwasher, putting the laundry in the dryer through a de-wrinkle cycle before I get ready for work, writing, etc. I mean, I’ve got a good hour at least before I have to get serious about getting ready. So why can’t I get myself to start any of these? Like the Bugs Bunny cartoons of old, gremlins are known for sabotaging things. 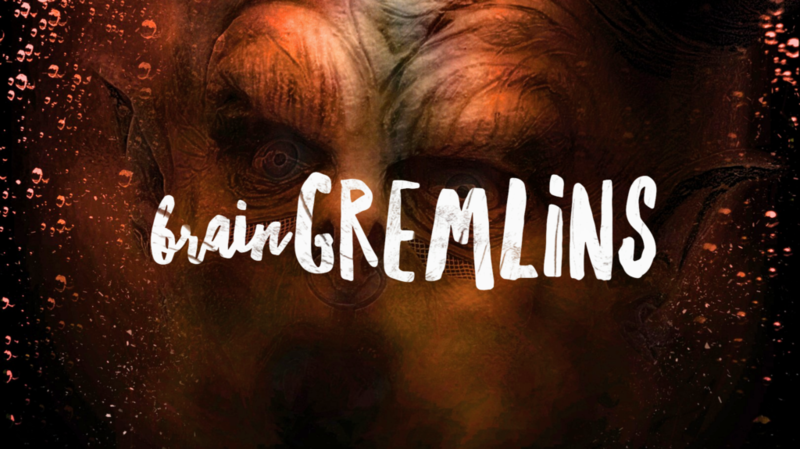 Brain gremlins are no different. They want to sabotage your life…but to what end? It’s hard to determine the motives of the brain gremlins. They certainly can’t have anything to gain by making you feel down, depressed, or just plain done with life and all its hassles. But maybe gremlins don’t need motives; maybe they are just malicious little creatures. Tiny little malignancies in the thought process that seep in and spread like a cancer. That’s not to say I haven’t accomplished anything this morning. I made myself an energy drink (no creamer, so no coffee this morning), took my pills, and made and ate some breakfast. At the very least I’ll get the laundry fluffed and the litters cleaned. Maybe the dishes put away. But writing? No, the gremlins have too firm a hold on my brain at the moment. I can’t wrestle my creativity free of their crusty little claws. I wish I had advice for other gremlin-sufferers right now. Something inspirational that will scare the gremlins away, or maybe keep them in hiding for the most part. Sadly, I have no such advice. I’m still battling those demonic little buggers myself. Some day those gremlins will be quiet. They’ll stop telling me there’s no point, that I’m not good enough, or whatever such nonsense they cook up. For now? I guess I’ll just figure out which task is next and work through them one at a time. You won’t win the day, gremlins. Maybe you’ve won the past few hours, but you won’t win the day.